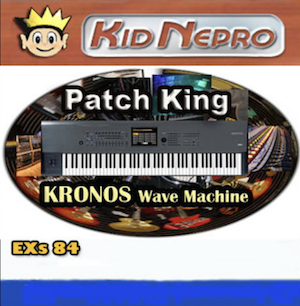 Now our amazing Kronos Wave Machine sounds can easily load into Propellerheads Reason NN-XT Sampler – $25. USD. Perfect for your next gig or recording session. 42 New rns and sxt files with hundreds of new samples from our custom sound libraries. The Patch King Wave Machine ReFill features some of our best sounds from our Korg Kronos PCG libraries. Using Chicken System Translator, we were able to easily convert our amazing Kronos sounds into a Reason ReFill. Everything is set up for Propellerheads Reason using a wide range of Digital Effects. SPECIAL BUNDLE PACKAGE: The Ultimate Reason ReFill. Get all eight of our amazing Reason ReFills for Only $100.